Jass Performance gauge plate fitment!! - Miata Turbo Forum - Boost cars, acquire cats. Jass Performance gauge plate fitment!! I call upon the collective wisdom of the Miata community tonight in hopes of answers! Any way i bought the 2.5 DIN three gauge plate from Jass Performance and i am in love with it! its super clean. the only issue now is how will i fit my gauges? The clearances between the gauge holes are very very small... i want to keep the interior of my Miata simple as possible, so ill like to run all analog gauges. The AEM ones that i have in mind have this giant bezel. the bezel wont permit me to run all three AEM analog gauges. Is anyone here using a Jass performance plate? if so what manufactures gauges will be small enough so i can fit all three. 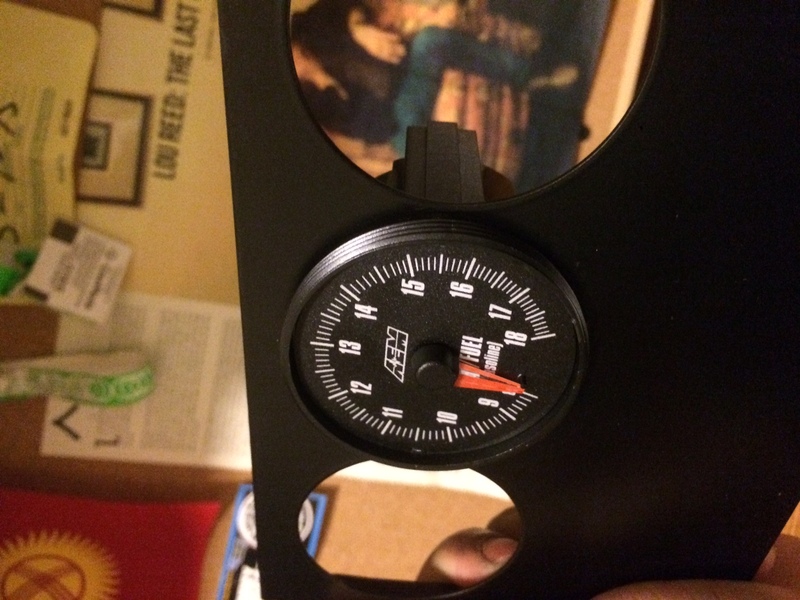 I am thinking of just using the AEM gauges with no bezel but i think it looks rather odd. ive attached some pictures in hope of giving a better idea of what i am trying to communicate. Looks like a design flaw to me. If they offset the middle hole slightly, you wouldn't have any fitment issues. Personally, I would return it. You would be better off with a blank plate and cut your own holes. I don't know how this differs from the DDMWorks since there's a finite amount of space to stuff three gauges, width constrained by the chassis in the center console. Perhaps it's the oversized bezels that will make this impossible. I'm running DDMw fine with three stri gauges. Like others said, it's not an issue with Jass. They have to design within the constraints of the space given to them by Mazda. IMO if they offset one hole to fit the gauges it would look very awkward. Also you might hit the trim for the HVAC above or the radio below. I have a similar unit, I forgot the company name but Miata Roadster sells it. I have an AEM Wideband, Glowshift boost gauge and Defi Oil temp gauge. I had to notch the bezel on the Defi Oil temp gauge to make it fit. Like others said, it's not an issue with Jass. We are saying it is an issue with Jass. DDM works fits 3 gauges fine. i have fit it with autometer/innovate combo. tight fit but fine. innovate has the biggest bezels out there. Whoops, looks like my morning coffee hasn't kicked in yet. The DDMWorks would certainly be a good option. 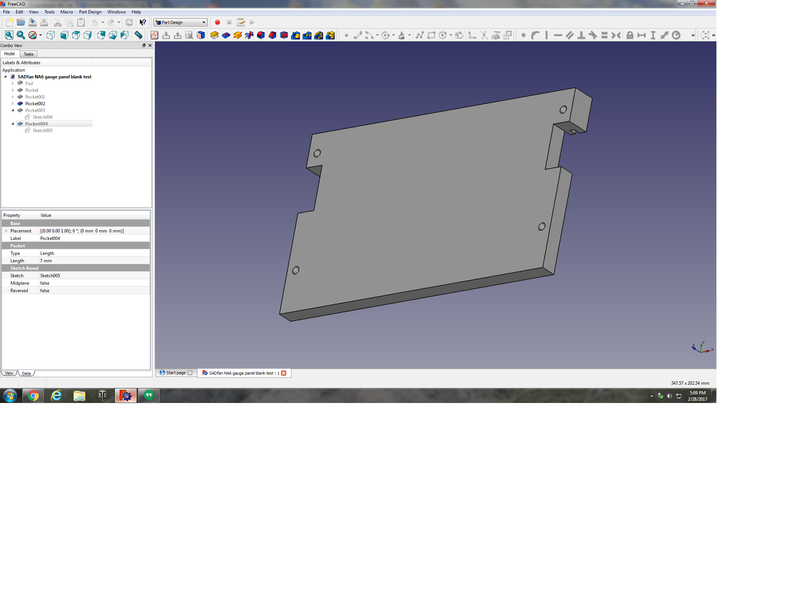 If i do go with DDMWorks ill have to make my own holes. i wont need the space for the radio since ill be installing a mini amp in its place. it looks like DDMWorks only makes the panel with the DIN for the radio. Can anyone confirm this? Yea but that can be filled in easy. 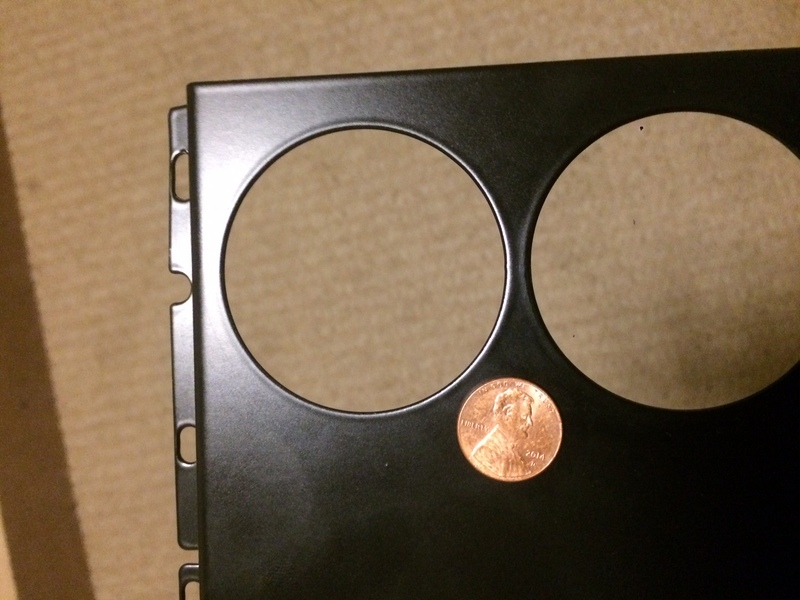 It's a rectangle, just mount a panel in the radio chassis with a piece of metal bent in a square U shape. Why would you buy something at all? Get some material - plastic, aluminum, steel - and fab one. 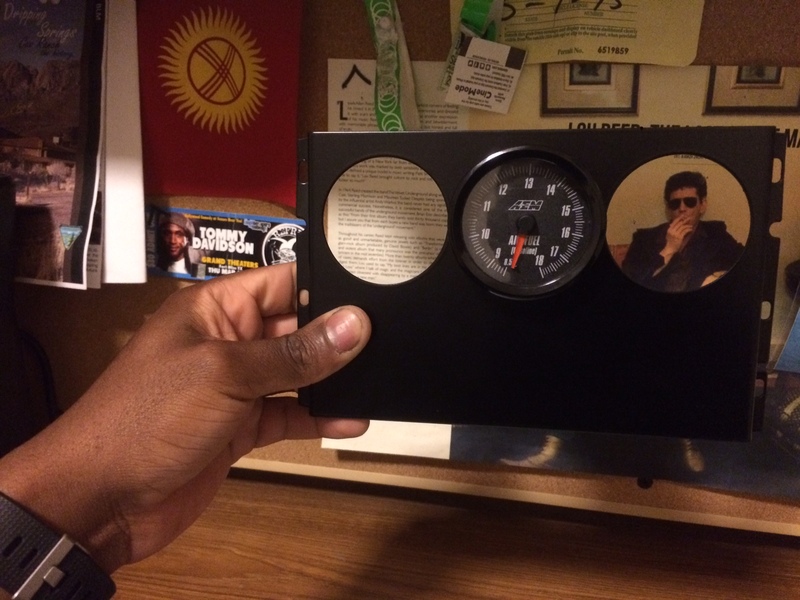 Custom fit whatever gauges you want. I have a Dremel so I could. I am just trying to work with what I already have. Who would be interested in customizable, 3D printed ABS gauge/switch, radio delete plates? Can you illuminate any details there at all? I am working on gauge layout and the shortage of good options there became apparent. So far I only have NA6 made, as I dont have a readily accessible NB, or NA8.... but I know some people. Still excited to hear what you guys are coming out with! So many cool things that can be done! Anyone have any new suggestions?